This is a cute Bella sterling silver bracelet with a bows linked with 'o' rings to form a very attractive piece of jewellery. 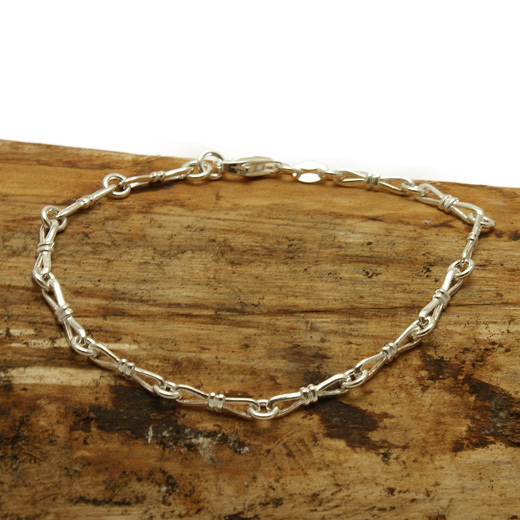 This delicate bracelet will add a chic finish to any look and can be added to stack with your favourite bracelet styles for an eclectic finish. It fastens with a lobster clasp. Not exactly what you are looking for? 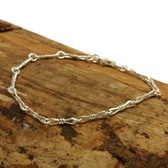 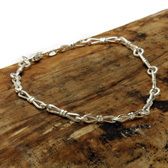 We have a wide range, see the womens bracelet gallery for our other options.